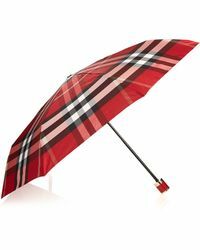 British heritage-inspired fashion doesn't get much more iconic than this global brand. 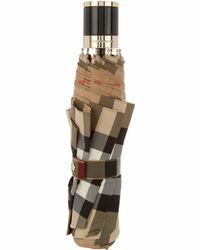 Formed more than 150 years ago, Burberry has become synonymous with quintessentially British style, recognised for its iconic pieces including the waterproof trench coat and trademark check prints, which are splashed across the label's accessories and in the lining of its trench coats. 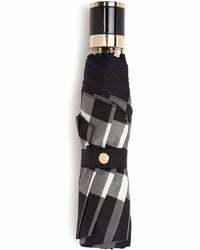 Updating the brand's traditional style with a contemporary aesthetic, Chief Executive and Chief Creative Officer Christopher Bailey has developed the label into the cool-girl's go-to for luxurious separates and statement outerwear. 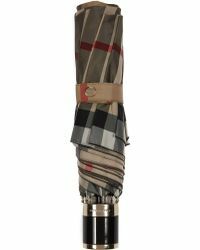 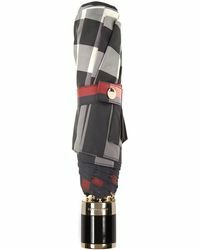 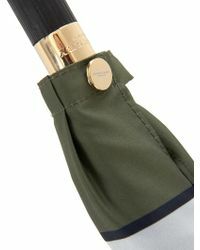 Look to Burberry Prorsum's collection of umbrellas to tackle heavy downpours in style. 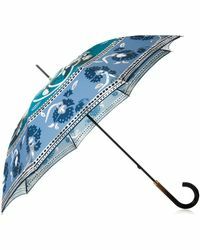 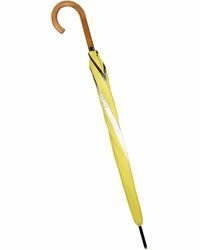 Come rain or shine, these stylish umbrellas will ensure you can step out in style.